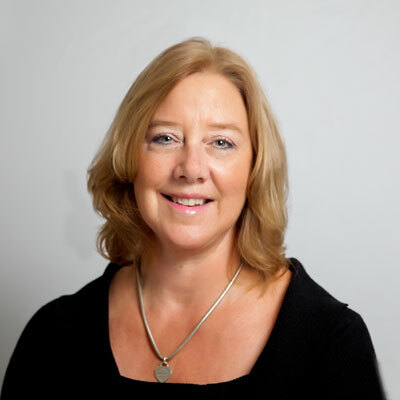 Deanna Thomson is a 22 year veteran at Dell EMC, having served in all business segments, acquisition, public, commercial and channel and as national director, Channel Sales for Canada for the past year. Deanna is responsible for the channel business in Canada including strategy and execution, partner enablement and training, program adoption, market share growth and overall partner satisfaction with Dell EMC. In addition to current responsibilities, Deanna has participated in the Dell North America Presidents Council, the Client Solutions Advisory Board, served as a Dell EMC integration ambassador and sits as a board member for Channel Chiefs of Canada - C4. As an inclusive leader with big ideas, Deanna has led the integrated Dell EMC Canadian channel team to new heights. Prior to joining Dell, Deanna held sales management positions in both IT and telecom industries after graduating from University of British Columbia, earning a bachelor of Commerce degree with honours. Throughout Deanna's career, she has held many volunteer and charity positions including BC Children's Hospital Foundation and Director, Female Lacrosse for CMLA. Deanna and her husband of 32 years, John, spend leisure time cheerleading their children's sports and travelling the world soaking up new cultures and cuisines. The past year has been epic. While I realize that the question asks what I have personally done, I want to acknowledge that its take an incredible team to achieve the Herculean accomplishments made by Dell EMC Channel Canada this past year. We integrated two of the largest IT companies in the world, Dell and EMC: integrated two channel teams into one, successfully launched and implemented one channel program, one partner portal, one training site - all while growing our business at 40+% year over year. Together, our team achieved best in class Net Promoter Score (our measurement of partner satisfaction) scores and we grew our channel mix within our sales organizations to record highs. We grew faster than the market, delivered record growth to our business, recorded the largest rebates back to our partners in our history and held one of our most successful Canadian Partner Summits. Epic. We plan to grow our market share in client, servers and storage, grow our partners' business and profitability by being laser-focused on our program's incentives and immerse ourselves in our partners' business plans by speaking their language. I set a big goal for our team to achieve by 2020 and we are on target to exceed it six months early. We have listened to our partner community and we have six big bets for this year which include: execute on our executive Adopt a Partner program; VMware program - execute on Dell as a distributor; and emerging VAR acceleration program. January 2018: Canadian Dealer News: 2017 Newsmaker of the Year Every year, Computer Dealer News publishes their review of the most noteworthy men and women in the Canadian channel ecosystem. For 2017, Deanna Thomson, was awarded the #1 spot and was dubbed the "EPIC Listener". December 2017: Channel Chiefs of Canada May 2017: Awarded CRN "Women of the Channel" Top 100. Success by many is defined by title, access and privilege. I choose to define it by capability. My friend Veronica Roby is one of the most capable women that I know. She successfully moves from medical triage at a university clinic to climbing a mountain to raising two successful young men, to building a chicken coop to wilderness camping to glamorous weekends in New York. That I admire. Always be authentic. You know who you are, even at 16, so stay true to yourself, it will serve you well. When you find yourself wondering if you are on the right track, call your mother, she will tell you that you are. To create boundless energy around big ideas and to inspire people to think and act differently through mastering the art of storytelling. I enjoy public speaking immensely, creating a point of view and sharing ideas creatively. To elevate this skill to the next level is the journey that I am currently on. Fodor's Cambodia - I spent 14 days travelling to all corners of Cambodia, so I devoured this travel book. Given I have severe FOMO (fear of missing out), I always read travel guides and articles so I can soak up every minute of travel.